World Music Weekends | Let's play. Dance. Sing. Attention musicians! During next month’s World Music Weekend (Oct. 4-6), we want you to be part of an ensemble that will perform this tune – flash mob style! – at CultureFest at the Chattanooga Market on Sunday, October 5. The tune is El Gran Norte, written by one of our featured guests, Ernesto Calderón. He and members of the Transatlantic Chilean Folk Ensemble first executed a flash mob with this tune in Valparaiso, Chile, and we’re excited for you to help us bring it to Chattanooga! Watch and learn the tune from the Valparaiso performance here, or learn it from the sheet music below. 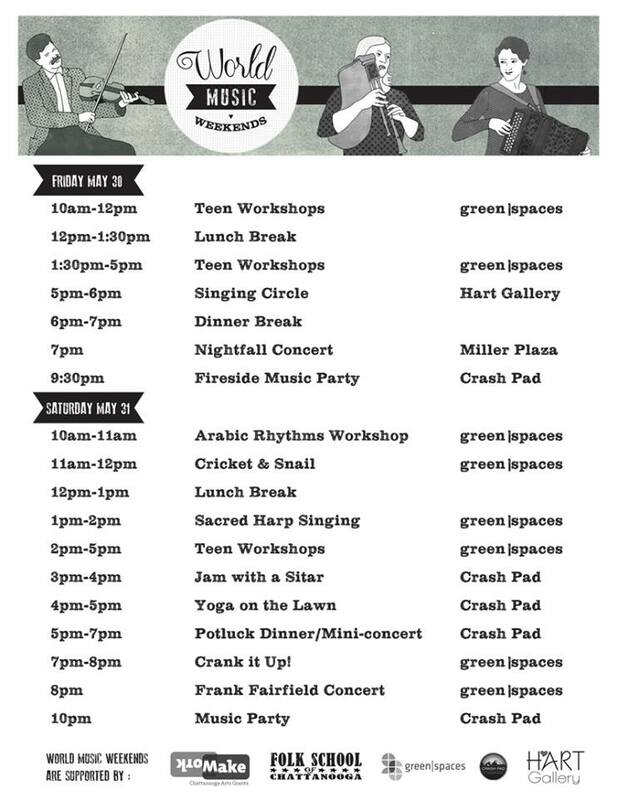 All events are free (donations accepted) except for the Frank Fairfield evening concert on Saturday, which will be $10. Please call 423-779-6581 if you have any questions. Enjoy the weekend! Frank Fairfield Returns to Chattanooga! He’s back!! Frank returns to Chattanooga to celebrate our first World Music Weekend, and share with us some songs and tunes from a truly multicultural America. Doors open at 7pm, when Lon Eldridge will host a Victrola listening session, showcasing some favorite 78 recordings from a century ago! Ian Stephenson – a great musician, guitarist from the UK has inspired us, two Bulgarians, to play Celtic music. He was just one of so many great musicians we met at Ethno Flanders. Like almost everybody there he is an amazing musician. He is familiar with folk music not only in the UK but almost everywhere. We were so influenced by the people we met at Ethno, and the music we played there that we decided to keep playing it here in Bulgaria. We found an amazing piece recorded by Ian, “Castlerock Reels,” which by the way is super fun to play, and we decided to learn it and make a cover of it with my kaval and Viktor Dzhorgov with his guitar. 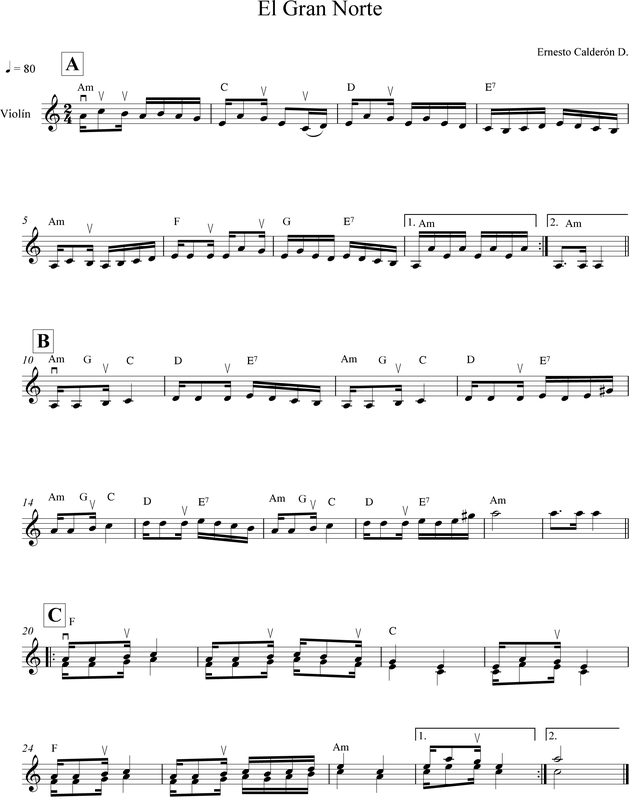 Learn this tune, then come to Chattanooga May 30 – June 1. Leen and Myriam — the girls from the poster and the website! — share this extra friendly demonstration of our “tune of the weekend”. It’s the “Schottisch uit Wezembeek” or the Schottisch from Wezembeek, a town near Brussels. We’ll all play this together in Chattanooga at the very end of May! Two Fridays ago, Micah Spence and Christie Burns visited two classes at Howard High School with a presentation all about our musical lives: how we learn music, and how we share it with others. Micah wanted to show an excerpt of this video because he’d had a memorable learning experience several years ago when Cheick Hamala Diabate stayed with his family in Atlanta. Being the youngest musician in the household, and according to Cheick’s cultural practices, Micah was expected to sit with Cheick and have a lesson. In our presentation, Micah told the Howard students about Cheick’s technique on the banjo, how they communicated in broken French, and how through this musical encounter he found out about an instrument called the ngoni, an ancestor of the banjo. In sharing these memories (and this video) with the students, Micah conveyed how even just one hour of sitting with a musician from another culture can create lasting memories, teach you things you never even thought to ask about, and squeeze the continents just a little closer together. Then musicians from Bosnia, Iceland, France, Croatia, Iran, Sweden, Denmark, India, Estonia, Belgium, and Norway each would give workshop in which they taught a song from their own country. The afternoons were often spent exploring the nearby monasteries, parading through the village, or practicing and recording music. In the evening? Jams. All night jams. At least that’s how it was in the Shimla house where I was staying. Arsalan, Arman, Durgesh, Damir, Nenad, Nithin, Rahul, and myself would jam the night away in our own living room as friends would make surprise appearances throughout the night, each adding new freshness to the jam. Shimla was indeed the party house. Oud, sarood, nyckelharpa, santoor, accordion, mandolin, guitars, bagpipes, flute, fiddles, saxes and a wide range of percussion joined with voices to produce the orchestra of Ethno India. In addition to singing, I played the clarinet. I had originally planned to bring a guitar, though at the last minute I decided I didn’t have much to say with that instrument. I informed the Ethno India team ahead of time that I am not well versed in the folk music of America, and the best I could contribute would be either the classical music they taught me in school or the rock’n soul in my bones. I began to feel a lack of cultural identify and an uncertainty about what to share with the group, as I was the only musician from the U.S. I then met an extraordinary person, Kam Tsz Ying Fioni who happened to share the same feelings. Fioni is from Hong Kong, and has training in Western classical music. Like me, she didn’t have much traditional folk music to share with the group. My dear friend Arsalan recommended that we collaborate and maybe present a song to group together. The first songs we came up with happened to be in complimentary keys, so we immediately began working on our AmeriKong Song which was performed, along with the tunes from the other countries, in an intimate concert for the locals on the eve of the Tibetan new year. So many people came together to make this experience possible, more than I could possibly list all at once. There was such a genuine feeling of appreciation for one another and it truly felt like a family of artists, sound wizards, healers and helpers. I often speak of the oneness of all things, and I have seen such a great example of this in Ethno India; people gathering together to celebrate their differences and honor each other’s culture. Beautiful. I feel blessed to have had the opportunity to share this time and energy with such incredible people. Recordings will eventually be released of the tunes, as Barry Goldberg and Phillip Horvath worked ceaselessly to capture the sound and essence of the gathering.